The FIA World Endurance Championship’s move to a winter schedule is creating new commercial challenges for privately-run teams, according to Jackie Chan DC Racing co-owner David Cheng. The Jota Sport-run LMP2 squad changed its driver lineup for the final three rounds of the 2018-19 ‘Super Season’ after its deal with Sepang International Circuit to run an all-Malaysian crew expired at the end of last year. Its new lineup of David Heinemeier Hansson, Will Stevens and Jordan King slotted into the previously Sepang-backed No. 37 Oreca 07 Gibson for the rest of the season and went on to win the 1000 Miles of Sebring. However, Cheng explained that the transition from a summer schedule running one calendar year to a winter format spanning two years has put his team’s sporting and commercial cycles out of sync. “Businesses work on a financial year – budgets are decided in September and October and confirmed in November,” Cheng told Sportscar365. “Typically, that’s how corporate structures work. Now, we have to essentially file our [2019-20 season] entries in May, before this season even finishes [at Le Mans in June]. 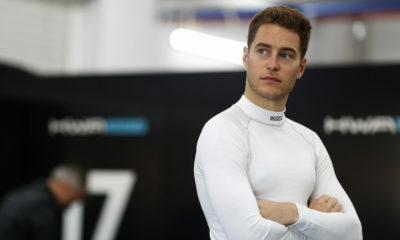 “Then essentially a testing program would start in July or August and Silverstone’s in early September, so that’s before we even have a chance to really have anything concrete. Nobody can approve something for 2020 right now, that’s just impossible. “Commercially, it doesn’t work anymore. We need to really creatively think outside the box. I have some options, and with Jackie’s support we have a little bit of help behind us, pushing. Cheng believes that signing off an entry for the 2019-20 season automatically brings a higher “underwriting risk factor” because of how most commercial deals are agreed on a calendar year basis. “Someway we’ll make a season work, whether we’ll run one or two cars,” he said. Cheng said the team plans to “keep in touch” with Malaysian drivers Nabil Jeffri, Weiron Tan and Jazeman Jaafar, who finished on the LMP2 podium in three out of their five races together. He revealed that the Six Hours of Fuji-winning crew was also set to contest the Asian Le Mans Series but the expiration of the Sepang deal meant it had to abandon its plans after the first race. “Those drivers were signed up for the year, and Sepang really helped us out with the budget,” said Cheng. “We ended the contract very amicably and they really stepped up to help us in the ways that they could. “Obviously Sepang, with their involvements in TCR and MotoGP now, the budget’s being allocated in different ways. But there’s always something to do in motorsports and we’d love to be with those guys again. “To take three new drivers into WEC and to have success at the level they did… to be honest they were only really starting to hit their stride. Cheng added that the team would be open to considering series that operate on a single calendar year, such as the IMSA WeatherTech SportsCar Championship, where DC Racing competed once in 2018. “It’s a real possibility [and] something that I should say makes sense from a business perspective, and for privateer teams it’s a catering environment as well,” he said when asked about running full-time in IMSA. “Right now, WEC is very focused on the manufacturers with Hypercar right now. But we’ve been in WEC for a while now and we like the racing that takes place here. It’s a competitive environment. “I’m not saying we don’t want to be here [in WEC]. We try our best and this team is born out of this kind of environment – we’re committed to this kind of level of racing.